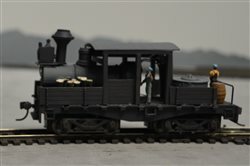 I just bought my first HO steam locomotive. 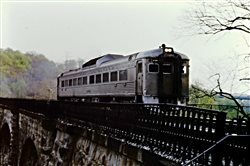 A 4-6-2. It's also the first engine I ever bought outside of a set. I was able to find a locking screw and remove it. However, I'm still not getting power to the loco. (my diesel runs fine so it's not a track power issue). Is there something else I need to do out of the box before this loco will get power? It is DC. Hi Joe and welcome to the hobby and the forum! - Let's assume there is no short-circuit. You can check that by trying to operate both your diesel and your 4-6-2 on the same track at the same time. If your diesel works, then there is no short. If you have a short-circuit (nothing works and your powerpack hums), then see if your tender wheels have not been reversed for some reason. If you still have a short circuit, you might have to open the loco and see what is going on (this is unlikely, by the way). Read on further about how to do this. -A used loco can suffer from dirty wheels, which may prevent good power pickup. You can clean them with isopropyl alcool and a Qtip or brush. You can do this by putting the loco on its back, with some foam under it (some manufacturers sell foam supports for working on locos and rollling stock - I suggest you put that on your list to Santa if you don't have one). You can also clean the metal pick-ups on the wheels of the tender (where they connect with the axles). -Does your loco have a headlight? Does it work when you apply power? If yes, then the power is not getting to your motor, or you have a problem with the motor or your wheels/power train. Your wheels may lock up if your wheels are not properly quartered. The little screws that connect the driving wheels and the side rods should all be aligned. And there should be a 45 degree difference between the right driving wheels and left driving wheels. A picture of both sides of your loco would help us here (there is a sticky about how to post pictures on the forum). You can requarter the wheels by hand - I suggest you ask someone who has done this before, like a hobby shop owner or a friend at a local train club. -The motor itself could be seized due to a lack of lubrication. If all of the above have failed to fix the problem, you can check the motor by removing the boiler. Turn the loco on its back and remove the screw under the driving wheels (a mantua loco would have that screw from the top of the engine). Depending on the engine, there will probably be a screw underneath, near the cab, to remove. Do NOT remove the screws that hold the cover of your driving wheels... there will be two or three of those under your driving wheels. Anyway, with the other screws removed, you should be able to carefully remove the boiler - taking care to disconnect any handrailings and other accessories in the process. I recommend you take good pictures first... After removing the boiler, try to turn the motor with your fingers (not the drivers). If it is a can motor, you can try turning the shaft that connects the motor to the wheels. If all turns easily, then lubrication is unlikely to be your problem. In fact, if you can turn your shaft many times and see your wheels turn slowly without any resistance, then it is not a quartering or driveline problem. While your boiler is removed, check for loose or broken wires. If all looks OK, apply some 12V power directly on the motor. If the motor turns, then all is good there. If not, you may have a dead motor - very unlikely. A broken wire or bad contact is most likely. The motor might need a drop of oil where the shafts sits at both ends of the motor. A very small amount of oil can be applied. Get Labelle oil for model trains - it is worth the investment. Well, try that and see. Good luck! Is the locomotive "DCC 'Ready'!"? If you did buy it at a shop- -locally or over the internet- -contact them and see exactly what you purchased. Answering the above questions can help everyone trying to help you. First, if you could specify what you bought - the scale, the manufacturer, etc. - it may be easier to figure out what's up. Just to start with an easily overlooked one - most modern (last 20+ years) steam engine models have one or two wiring harnesses that the buyer has to connect between the tender and the engine. Usually the wires come out of the tender, and have to be plugged into the engine. If yours has that, make sure they are attached and fully seated into the appropriate receptacles. Never heard of a locking screw in a 4-6-2 before. Since you say it is HO and a 4-6-2 I am assuming a Bachmann loco. Very few companies make a 4-6-2 that I am aware of. Is it set up as DC only, or DCC ready? Some DCC ready, the DC adapter might not be installed. Are there wires between the loco and tender. More info in a question can really help. Mantua, Mehano, Rivarossi and IHC made some as well. 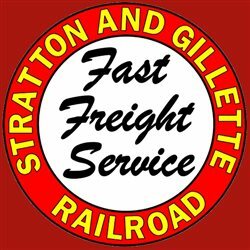 I just want to say to the Model Railroader forums. Your first few posts are delayed by the moderators, but that will end pretty soon. The answer from SNRJOY is pretty much as best as anyone can do until we get more information. I'm wondering if the locking screw held the loco in the packaging. If it is a used DCC engine bought on ebay(or anywhere else) it is possible that DC running was disabled. The rule is, you can't possibly give us too much information. A little late but I thought I should respond for those that helped me out here. After checking at various swap meets/shows in my arear, I was able to find someone that explained the problem. It appearts tht the SCREW I removed, was not a set screw as I thoght but the screw which held the gears engaged. Once I was able to reinsert the screw, it took a while to get the loco moving. It seems it just needed a little proding and TLC to start working after all. That's everyuone for your help. I'm sure I"ll have other issues as I start this layout. Joe, that is good news. Your posts are still delayed by the moderators, but please keep posting and join the discussion. The delays will end very soon.